A great spot for a run and a swim in Bozeman! 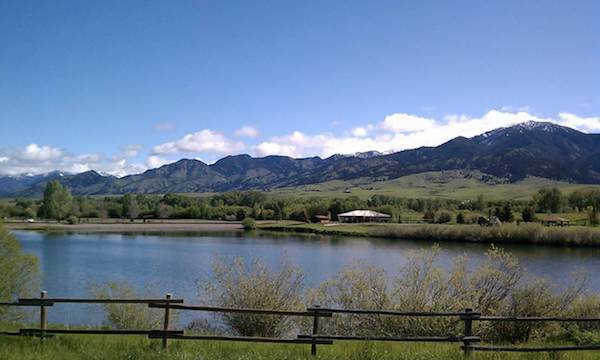 Located three miles north of town, the East Gallatin Recreation area is one of Bozeman’s most popular spots. There are three miles of trails looping around a pond and along the Gallatin River. The pond has a sandy beach and is a popular swimming spot in summer. There are picnic tables, a volleyball court, a climbing boulder, and restrooms. Note: trails are gravel and can be muddy or icy, depending on the season. Add-On: Connect to the Cherry River Trail, just to the northwest, for an additional ~1 mile loop.